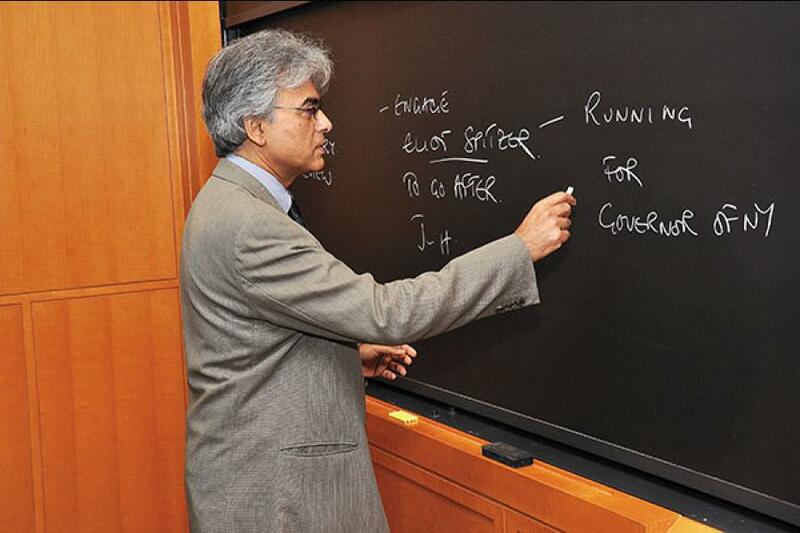 Rohit Deshpande is the Sebastian S Kresge Professor of Marketing at Harvard Business School, where he currently teaches in the Owner/President Management Program and other executive education offerings. He has also taught global branding and international marketing. He talks to Forbes India about the complex business of branding in a world where social media is increasing its reach. Excerpts from the interview. Q. I came across an article that you wrote for Forbes titled ‘Branding Yoga: Good Business or Blasphemy?’ Can you talk a little bit about it? I wrote a case study called ‘Branding Yoga’ and my comments relate to that project. The first learning objective of the case is to ask the question: Can anything be branded? The majority of the students say ‘yes’ but the follow-up question is: Should everything be branded? Now, ethical issues and moral issues come up in the debate. It is a far more difficult question to answer. The discussion broadens into this controversy over branding yoga. What got me interested is something that I read in the New York Times. There was a group of Indian-Americans who had protested the commercialisation of yoga and said that it amounted to the commercialisation of Hinduism. They drew a parallel between the commercialisation of yoga and religion. They said yoga is essentially Hindu and it would not exist if it were not for Hinduism. This sparked a controversy over the history of Hinduism and yoga. Can you teach yoga without teaching Hinduism, or is yoga all about exercise? That is one set of issues that we deal with. Q. What is the other set? The other set of issues is that there are two different branding models. One is from Tara Stiles, who is a very successful yoga teacher in New York. She is American. She used to be a model and a dancer, and practised yoga as a way of keeping fit. She started teaching her friends. She made some free YouTube videos on this, and they went viral. Then she started a yoga studio. Somewhere along the line, she became Deepak Chopra’s yoga teacher. He is a great fan of her brand of yoga and they have a joint venture. They have made an iPad app, which has been very successful, and even a DVD. The other branding model is from Bikram Choudhury of Bikram Yoga. Bikram is an American now, but he was born in India. He was traditionally schooled and his brand of yoga focuses on the domain called hot yoga. He has franchises and training programmes. Both are marketers—Stiles uses social media. Both are successful. But both have attracted controversy, Bikram probably much more so, despite the fact that he is Indian and more authentic than Stiles. Q. Social media marketing is a huge phenomenon. Does it work? If done well, it works really well. But it doesn’t work for everybody. Companies are spending a lot of money on social media. But a lot of it is experimental; they are throwing money at something, but are not sure of what works and what doesn’t. We are at a nascent experimental stage where we are trying to figure this out. There are lots of examples of social media where the companies themselves are not sure whether the money spent is worth it. I would say that 90 percent of the companies don’t know whether they spent the money well. It has to do with the appropriate success metric. How do you judge whether your social media campaign has worked? One of the most popular metrics is the number of ‘likes’ that you get. But I have colleagues who have done some research on this, and found that ‘likes’ do not translate into sales. When you think about it cognitively it doesn’t take a lot of effort to ‘like’, but it takes a lot of effort, and not to mention money, to buy. Hence, click-throughs and getting sales is much harder to measure. Q. Can you give us an example of a company that has used social media well? I am developing a case on Dell, which is considered to be a best practice example of using social media in the business-to-business space. What works for them is that they have a business model that is direct-to-consumer rather than going through retail. They don’t get information on their customers from some sales partners, which means when something goes wrong, they also find out very quickly. And they have traditionally done that through their telephone lines. People call on their toll-free lines when they have a problem. With the advent of social media, some customers started blogging about their problems with Dell. Q. What did Dell do about it? Michael Dell, who is the founder, is active in the blog space. When he discovered this, he told a team of his people that they should just reach out directly to these customers and fix these issues. When they reached out, the bloggers put up posts saying that here is what the company has done. Effectively, the bloggers were doing their job for them. There is a lot of research that shows that restitution actually gets you a lot more business than the initial sale. And when the restitution story is being told by a customer it carries even more credibility. That is the story of how Dell got into this space. Now they have a command centre and they keep monitoring what is going on. They estimate that it has saved them a lot of money and a lot of loss, because [they interacted with] people who would have otherwise complained, gone away and scared other people from buying Dell. Q. What’s the most frequent branding mistake firms make? To assume that your brand is a logo rather than the personality of your product and company. To assume that it’s simply a trademark and therefore it should be managed out of your communications department rather than becoming a part of the overall strategy of the firm. In the research I have done this tends to be particularly true for technology intensive companies where the product and quality are everything. It is almost like a Dilbert cartoon that stereotypes marketing and says that it does not add any value; therefore branding is not very essential, and that it is all about the quality of the product. Companies in emerging markets are not comfortable with thinking about a brand as anything more than what their marketing people do. It is not seen as a part of the strategy of the firm. A brand is not seen as a relationship with a customer—it is seen as a trademark. Q. Can you give us an example that doesn’t hold true for whatever you have just said? I wrote a case on Infosys, and they have done an incredible job of making the brand mean something. 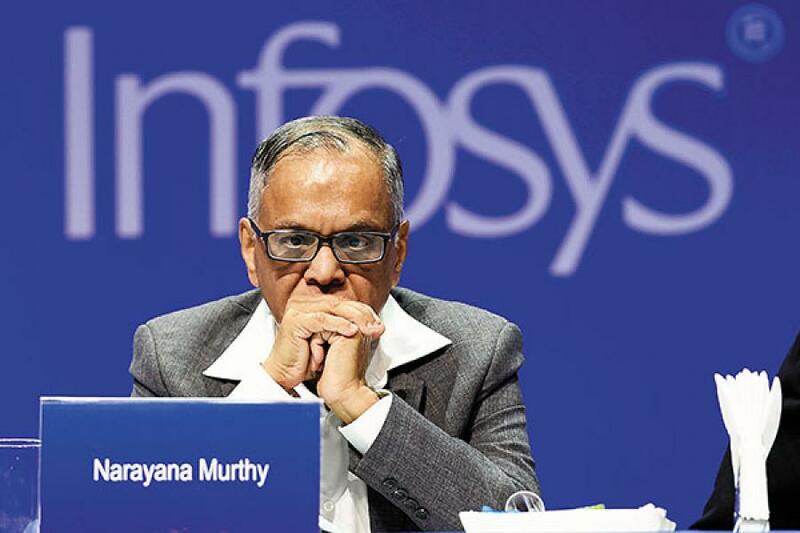 Narayana Murthy in some ways represented the brand. The confidence that people had in buying from Infosys came from the people who ran the company. The brand stood for more than just IT. It stood for the people and since 90 percent of their sales is from outside India, they actually had to brand India before they could brand Infosys. So there is a big story there of how India Inc came to be and what role Infosys played in it. Q. When brands become successful, the tendency is to extend it. Do line extensions work? Line extensions do work but they don’t work in all cases. The Kingfisher story is an example of a line extension strategy that did not really work. Yamaha is an example of a line extension strategy that has worked very well. But I think the question is why the line extension? If the reason for the line extension is that you have built a powerful brand and want to milk it, then there is a chance it won’t work. But if the purpose is that it is something consumers want, then there is a stronger likelihood of it working. Q. What else needs to be considered? Another key part is, what does the brand mean? And does that meaning extend? The question for the Kingfisher management should have been, what does the Kingfisher brand mean and how does that meaning translate from beer to airline? There are some brands that transcend the product category, in which case the brand might go across a whole variety of things. There are other brands where their meaning is rooted in the product category, which is almost like the paradox of success. The brand is successful because people see it as Kingfisher means beer and it can’t mean anything else. Q. Do celebrity endorsements work? The research in this area is called brand personality. When the personality of the celebrity is consistent with the personality of the brand, it works. An example of a bad brand management strategy is the [James] Bond franchise. BMW introduced a product called z3 through a Bond movie. It was, for them, a relatively inexpensive convertible car. This made a lot of news because James Bond is a British secret agent who used to drive a British Aston Martin and was now driving a German car. This made for good media [publicity]. This was a very successful product placement. When that happened, not only BMW but a whole bunch of product companies decided they would flood the next Bond film with product placements. There was a huge consumer backlash. Consumers were frustrated to the point that it was hurting the Bond movie franchise. People were saying that there is no way that the endorser is personally committed to all these different things but he is using it because he is being paid.